The bill failed, and it represents a failure of the people of America. Partial birth abortion, or any type of abortion where the baby can feel pain is abhorrent! Not only is it repugnant, but incredibly selfish. Cloaking abortion under some obscure notion that it is a women’s right to commit murder is repulsive; and displays not only their character but their moral turpitude. The fact that this bill was not a slam dunk, speaks to the degradation and absolute depravity of this country and its people. When you place a priority on politics over what is morally right and just, you descend into an abyss that there is most likely no turning back from. To argue that the killing of innocent lives is anything but slaughter in wholesale fashion is delusional at best, and unequivocally disgusting. 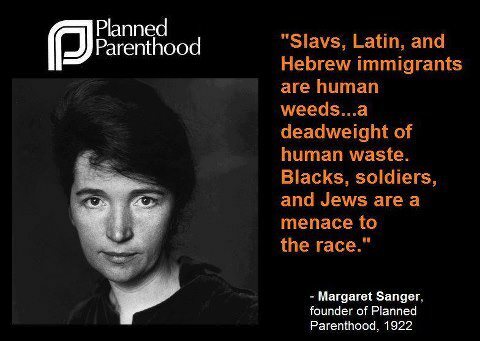 Planned Parenthood was formed by a racist women who believed in Eugenics. Her goal was to rid the world of “in her mind” an inferior species, so she did so under the guise of women’s health. That organization has been responsible for the death of millions, with a disproportional percentage being black; and yet the democrats and some republicans defend it because they are afraid for their political careers. Those who we have sent to Washington have failed the American people monumentally.